MCR Crews MCRN951 N-95 Particulate RespiratorMCR Crews MCRN951 N-95 Particulate Respirator, Cone shaped N95 respirator without exhalation valve. The RPN951 has a low profile design with dual fixed straps, adjustable metal nose band and smooth inner lining ensuring a secure seal. 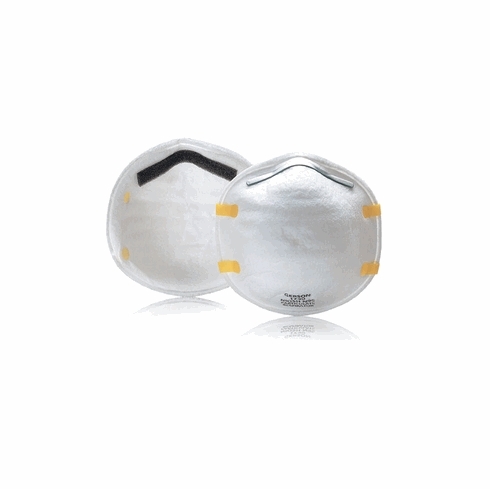 Cone shaped N95 respirator without exhalation valve. The RPN951 has a low profile design with dual fixed straps, adjustable metal nose band and smooth inner lining ensuring a secure seal. *Soft, comfortable outer layer and and staple-free construction.